A former Crystal Palace youth player appointed as England manager? It’s a sentence that even the 64-year-old son of a Croydon bus driver probably never thought he would hear. Confirmation of Hodgson’s surprise appointment by the Football Association on Tuesday has thrust the softly spoken former Crystal Palace trainee firmly into the national spotlight. The “people’s favourite” Harry Redknapp was overlooked in favour of a man who grew up in a flat on Sydenham Road in the mid-1950s dreaming of one day representing his country as a player. Back then, Hodgson and Steve Kember, who would later become a Palace player and manager, would invite their school friends over to spend hours kicking a ball around on the patch of grass in the back garden. Their fathers worked together on the buses and were friends and neighbours, with Bill Hodgson’s family living upstairs and the Kembers downstairs. The young football fanatics were briefly separated when Steve’s father joined the police and was stationed in Balham, but his decision to ask for a transfer back to Croydon a couple of years later saw them reunited at John Ruskin Grammar School in Selsdon. A year younger, Kember soon began showing signs of the talent that would lead Chelsea to pay a then club record £170,000 for his services in 1971 as he was selected to play alongside Hodgson for Ruskin’s Wednesday afternoon school side. Palace’s assistant manager Lennie Lawrence was also in the same team, while Bobby Houghton – who would be so instrumental in Hodgson’s development as a manager years later – joined Ruskin in the sixth form. But by the time Kember signed professional forms at Selhurst Park on his 17th birthday in 1965, Hodgson was already playing non-league football for Tonbridge Angels in Kent and thinking about a totally different career. Having qualified as a teacher, he started working at Alleyn’s School in Dulwich and used to help coach the Park Hill United under-11s – the youth team started by Kember in 1968 that later became Shirley Saints. The future England boss also took his first steps as a coach when he became assistant manager to Houghton at Maidstone United and continued to play for them in the Southern League, usually as a left back or central midfielder. By 1974, Hodgson was teaching at Monks Hill Comprehensive (now Selsdon High School) and living in Farnborough Crescent, having returned from two years in South Africa. As his playing career wound down with Carshalton Athletic, a move into coaching beckoned thanks to the links forged with Houghton at Maidstone. In 1976, Swedish club Halmstad were persuaded by his former Ruskin team-mate – by then in charge of Malmo – to give Hodgson a chance. The result has been a glittering career that has since taken in 18 managerial posts around the globe and led all the way from Croydon to Wembley. 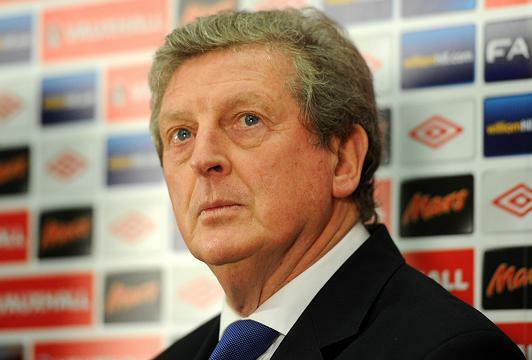 “From a local point of view, it’s great that Roy’s managed to get himself the most prestigious job in English football,” said Kember, who worked for Hodgson when he was at Fulham and is now Palace’s chief scout. “I’m very pleased for him. He’s done very well over the years and deserves the chance. Apart from a couple of blips here and there, he’s been a success everywhere he has been. I can only wish him the best and I would like to think he would do a good job. There’s certainly one corner of south London that will be giving Hodgson its full support this summer. This entry was posted in Crystal Palace FC, Football, Roy Hodgson, Selhurst, Selsdon & Ballards, Sport and tagged England, England national football team manager, Football Association, Harry Redknapp, Hodgson, Kember, London, Roy Hodgson. Bookmark the permalink. Interesting article – I didn’t know about the CPFC connection. I wish Roy all the best and at least he won’t be overburdened with excessive expectations, following the way the FA seriously damaged our prospects by recklessly causing his predecessor to depart. However controversial is was to not give the job to Redknapp, it’s fascinating to see that many supporters on the FA’s ‘Englandfans’ forum feel that he would have been the 2012 equivalent of appointing Keegan. Even some Spurs fans agree and think Redknapp will be sacked at the end of the season. Some Spurs fans have been calling for Redknapp to be sacked for the past six months or so. Yes, with the team in the top four, reaching the Cup semi-final, and all. Redknapp, the man who took over when the club looked doomed to relegation. Some people don’t know when they’re well off.